According to the Canada Mortgage and Housing Corporation (CMHC), the Calgary housing market is expected to enjoy extensive growth this year. Not only is CMHC predicting an increase in the construction of new homes, but the average home price is expected to go up as the red-hot economy continues to grow. 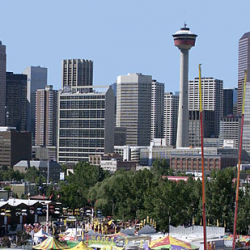 CREB stats for May have been released and things are looking promising for the City of Calgary. Thanks to the city's long-term economic prospects, which have been bolstered by continued fulltime job growth and low interest rates, residential sales increased by 31.8 percent when compared to last year. 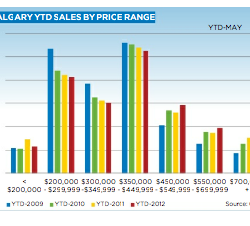 With a total of 2,385 sales, May 2012 represents the highest May activity the city has experienced since the recession hit.